Find unique and specialty items as well as everyday necessities. If you’ve been let down by the quality of your purchases at your local supermarket, it’s time to make a trip to Eckert's Belleville Country Store. Everything you’ll find here is fresh, flavorful and affordable, ensuring that you get the high-quality items you need at reasonable prices. Make your first stop in our bakery, where the aromas of fresh-baked goodies will remind you of Grandma’s house. From homemade pies to warm loaves of bread and indulgent sweets, you’ll love treating yourself to something delicious from the bakery. You can also make a trip through our deli to discover sliced-to-order Boar's Head meats and cheeses along with other ready-to-eat treats, including fresh dips, pasta salads, homemade tortilla chips and more. If you’re planning a delicious family dinner, stop by our meat market for fresh meats cut to order. You can also find flavorful wines and cheeses available in a range of price points to suit any budget. Don’t forget to round out your shopping cart with some of our homegrown fruits and veggies from the impressive produce section at our Country Store. When you visit Eckert's Belleville Country Store, there’s so much more to do besides just shopping. You can visit our plant nursey, enjoy a down-home dish at Eckert’s Country Restaurant or treat yourself to something sweet from the Custard Shop. Adult and children’s cooking classes are also available if you want to learn more about how to use the delicious items you pick up at our store. Stop by today to see why seven generations of the Eckert family have been proud to operate the farm and its many attractions. Our only competition is Grandma! At Eckert’s bakery you’ll find delicious, mouth-watering treats sure to please everyone! 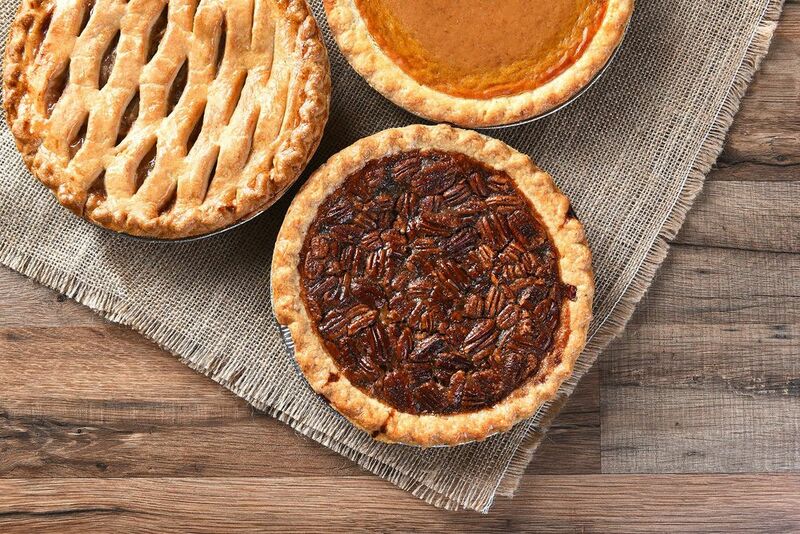 Our home-baked pies are a customer favorite and come in so many varieties. You’ll also find an assortment of fresh breads, cookies, fudge, caramel apples and other sweet desserts. Serving only the highest quality, our full-service deli offers sliced-to-order premium Boar's Head meats and cheeses. We also prepare fresh dips, pasta salads, homemade tortilla chips, salsas, ribs and so much more. Our hot deli case is stocked daily with foods hot and ready to eat for those needing a quick, ready-to-eat lunch or dinner. Eckert’s Wine Department stocks more than 200 labels, with selections that will satisfy most budgets and tastes. Eckert’s Cheese Department has an excellent array of specialty and artisan cheeses as well as the more common cheeses. Whether you are a sweet wine lover or a dry wine lover, you will find the perfect bottle of wine to go with your meal in Eckert’s Wine Department. Because many of our family members are true wine lovers, we enjoy searching out excellent wines at great prices. We continuously add new labels, and we always welcome customer suggestions. Eckert’s is renowned for its homegrown fruits and vegetables. We strive to provide local, fresh produce year-round. We also stock seasonal favorites, including rhubarb and white asparagus, in the spring, and products that are not grown locally, including citrus, bananas and berries. Eckert’s is proud to carry on a seven-generation farming tradition. Much of the produce we sell is grown right here at Eckert’s. We also carry produce from other local growers. Try our homegrown produce, and you will agree that fresh is best! Eckert’s meat market offers the finest in fresh beef, pork, chicken; sausages and other cured meats; and applewood smoked meats—great for nightly dinner made in the kitchen or on the grill and for entertaining! Much of our selection comes from local family farms. Eckert’s sells pork and beef that are farm-raised in and around St. Clair County. Ask our butchers for more information. Eckert’s friendly, experienced staff are ready to cut any piece of meat or poultry to order. Our fresh, hand-cut products are never frozen. Eckert’s full-service meat department offers staff who are trained to answer questions about meat selections and cooking preparation (providing information about your purchases is an a service we value; our staff will help guests select the best cut for grilling, roasting or sautéing). Call to Order 618-233-0513 x 2. Open year round and located at our Belleville Farm.